INKSYSTEM Corp. guarantees that all the roducts are free from defects in material or workmanship. Rarely the equipment partly or completely fails within the warranty period. In these cases we do everything possible to ensure that our customers are satisfied with the purchase. 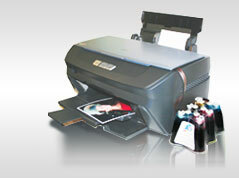 INKSYSTEM CISS Installation is easy-to-run and usually takes 10-15 minutes of your time. After that, you get high-quality images and savings of 95% compared to original cartridges. The warranty repairs are carried out quickly, with premium quality and free of charge. Warranty duration is 12 months from the date of retail sale. Every product has a Warranty Certificate. Transportation of the failed product is carried out by its owner. Please note that ink and photo paper are expendable materials and there can be no returning of unsealed ink tanks and photo paper packages. When defects are found by technical support managers, a replacement for a new product is performed. • When accepting the product check if the warranty certificate is filled in correctly. • Keep the original receipt that contains the date of purchase information. • Adhere to operating conditions that are provided in the User’s Manual, or on the web-page of the specific product. • Try to avoid mechanical damages when operating the product: chippings, dents, fractures, scratches, etc. • Demonstrate the failed device to the technical support center managers (the warranty repair or replacement can be provided only upon the failed product availability). • Ensure that the technical support center gets the product with its full set: descriptions, chips, tubes, etc. • If the warranty certificate is incorrectly filled in. • If the device has mechanical damages: chippings, dents, fractures, scratches, etc. • If the identification information was removed or complicated in any possible way: additional notes, stickers, etc. • If the user has previously performed a repair or change in the internal parts of the device. • If the equipment has previously been repaired in a technical support center that is not an «INKSYSTEM» representative center. • If the device was not used as intended. • If the device was installed by the user. • If the defect appeared under the circumstances of insuperable forces, accidents, intended or careless actions of the user or a third party. • If the printing limit was exceeded – more than 100 000 prints. • Accidental damages or defects caused by the user. • Defects caused by natural hazards. • Defects caused by foreign objects, liquids, insects in the internal parts of the device, or under the action of extreme temperatures. • Damages caused by negligent operation (contradictory to the recommendations in the User’s Manual). • Damages caused by incorrect power connections. “INKSYSTEM” Company excludes for itself any liability for incidental, consequential, indirect, special, or punitive damages of any kind to people, pets or property if the stated damages have been affected because of rules and operational conditions / product installation disregard. The Company also excludes any liability for intentional or careless actions of the user or third parties, for loss of revenue or profits, loss of business, loss of information or data, or other financial loss arising out of or in connection with the sale, installation, maintenance, use, performance, failure, or interruption, or the possibility of such damages. Free technical support shall be understood to mean damages repair free of charge to the customer, damages that were caused by the manufacturer and the user’s full adherence to warranty conditions. The warranty service can be dismissed if the diagnostics team learns that the damage reason is a result of neglecting the above-listed warranty conditions (the diagnostics can take several days time).